2018-01-15. Published in category Articles. Music to me is life. Music is spirituality. Music is me telling a story. I believe in a creator and in carrying a message. I believe in reaching out to people with an open heart and mind. Not everybody has that. We all learn by going back. We don’t listen to our parents until we see what they talk about. If you get lost you go back to the basics and realize that it doesn’t matter how modern a building is, it still needs a foundation or it will fall down. I had a brother who was five years older than me, and I wanted to be like him. I came up in the church, where what the week had been like was unloaded by the church-goers on Sundays. My brother joined the school band, which was a marching band, and it was all about marching parades. I joined when I was old enough. When I was walking with my mother I once saw a kid who was playing the drum set in a store window. I asked if I could go up there and play the drums, and I went for three or four lessons for the store owner, Andy Lalino, before my mother said that we couldn’t afford more lessons, at which the Mr. Lalino said that I could stay around and help him out with chores – and that he would teach me to play the drums for free. I got schooled in church and schooled on the bandstand. You don’t tell an older person what to do – they guide you. Then you turn into the mentor as the years go by. School teachers never had the bandstand experience. I have so much to share because everybody I met in my career left me something. I am getting ready to do more work in Europe and Japan, and I’m taking a bandstand workshop to schools. It’s hard to be in the mentor generation. It is hard to look at old videos on YouTube where I’m the only one who is alive now. Not long ago they were all alive and my phone used to ring a hundred times a day. You can’t read your way through jazz. The only place where that works is in a big band-setting. Jazz used to be music that people danced to. Then John Coltrane opened the door. It was a door that came from an era of freedom of speech, and freedom of speech is also where music comes from, and I was there when the door opened. I came up in New York. I have worked with so very many over the years. Among the many, just to mention a few, Ruth Brown used to call me “Queeny”, among the numerous who used to call me. Randy and Michael Brecker were very close, very, like family – among the very many who were like family. 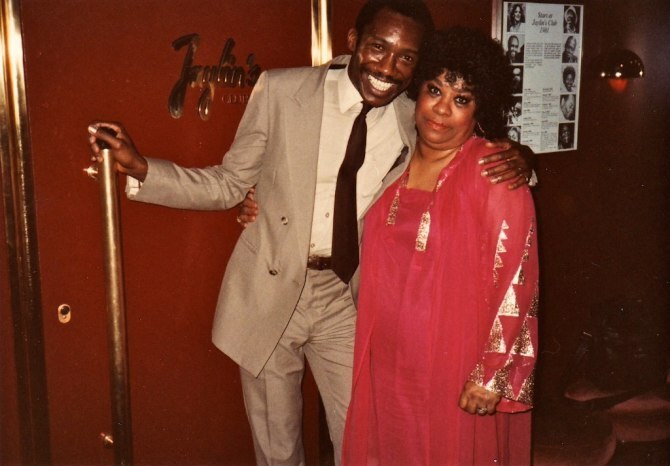 I go all the way back to Harlem with George Coleman, among all the people I go back with. I still speak to him now and then, and we still have a record in the can that we haven’t released. Initially I was a kid playing with many greats not knowing who they were really. To me they were ‘just musicians’, except Ruth Brown because my mother was a fan of her’s. And some of the people I played with in my younger years hadn’t had their break yet, so no one knew who they were at the time. I got an early job with the Horace Silver Band, where Billy Cobham was the drummer before me, among the early jobs I got. I auditioned among ten drummers and got the job, which I had for four or five years. We did well and toured California. I have of course also kept working with many great artists since I moved to Europe. After my years working in New York and touring, I was living in Boston for about a year when I got a call to come to Montreal, where I was the house drummer at Rockhead’s Paradise, and anytime that artists came to play there I played with them. I left Canada a couple of months before my visa expired and moved to Europe after that. I am based in Switzerland, and I see it as the center of Europe. It’s easy to get around from here, and I was always international and not local. Once there was something called the American Dream. That all changed. They go for young people in the USA. They don’t sponsor mentors. I made the move to Europe in the 70s, when many artists came to Europe, because Europeans were more open and accepting, and music got more exposure here. I took a lot with me from my life back in the USA. I got the calls I used to get coming over here. And I made so much money here that I started a record company, and started recording artists that the US had stopped recording. I had nineteen productions on the books when I couldn’t make the switch to making CD’s because of the costs. The download market is difficult and rough as people steal. It’s rough and the same for good musicians and bad musicians. I have had a Swiss passport for fifteen years. I used to have to do double tax returns as a foreigner, and spent $ 1600 a year for sixteen years on that. I did give up my US citizenship after 66 years. As you may have seen I was denied entry into the US when I last flew over there. Right now the process is on hold but many had a reaction right away, and I feel good about it now, waiting to see what will happen. I don’t want to fly 8000 miles just to turn back. But I’m not looking to work in the US and my family there is dead. My plan for 2018 is to keep moving forward. 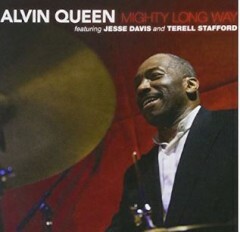 Alvin Queen is a legendary drummer from New York, who is based in Switzerland. Introduced to jazz at an early age by his father, and to the drums by his brother, Alvin Queen started his professional career before he had reached his teens, when seeing John Coltrane and Elvin Jones live meant a great deal to the young musician. 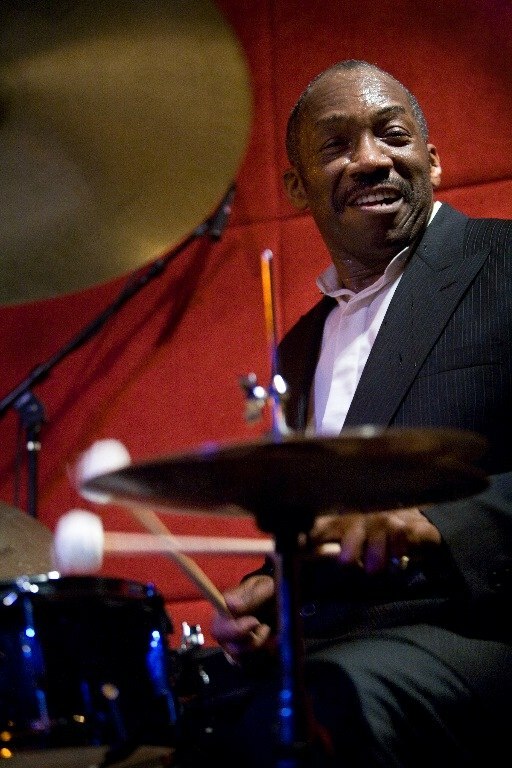 Being part of the Horace Silver Quintet, the George Benson Quartet, touring Europe with Charles Tolliver, and working with an array of artists before he relocated to Canada, and later more permanently to Europe, Alvin Queen has continued a successful career as recording band-leader and collaborator, and run his own record company.